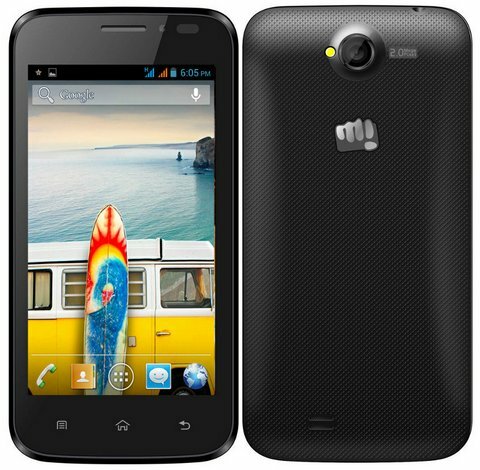 Micromax A66 Bolt, the company’s latest phone is now available for purchase from online retailers. It has 4.5 inch FWVGA display and 1.0GHz Spreadtrum SC7710G processor. It runs on Android 4.1.2 Jellybean operating sytem. It is a Dual SIM phone and packs with a 2MP rear camera plus a VGA camera at the front. The Bolt A66 has 512MB of RAM and 512MB of ROM (162MB for user) + further expandability via micro SD card up to 32GB. It houses 1500 mAh battery and comes with FM radio support. It offers basic connectivity options like : 3G, WiFi, Bluetooth,GPS etc. The Bolt A66 is priced at RS 5999 and is available in Black and White colors. You can Buy it from Flipkart, Snapdeal or From Micromax’s official store.